that quickened the pulse: a baseball player in follow-through pose, seemingly having just flung a ball. Closer inspection revealed a most-familiar name printed beneath the uniformed visage: Magee. This favorite find, you see, was not just any baseball pin. It was a PM1 Ornate-Frame Pin. But I'm getting ahead of myself. 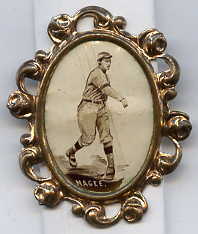 At the time, all I knew was the name Magee was the same as the name of one of the "Big Three" rarities in the T206 set, albeit spelled a bit differently. As many pin collectors will tell you, the pin turned out to be a highly-scarce PM1, issued around 1915 by a still-unknown manufacturer and marketed for a few cents each. Even more significantly, the Magee pin still is uncataloged today (although I really should get around to emailing this info to SCD's Bob Lemke). That's not what qualifies this as a favorite find, however. In order to secure this little 1-1/16" x 1" beauty, I had to roust the rapidly aging proprietor from his perch on a stool near the bottom of a staircase that led to his home atop the shop. These tales are intended to showcase interesting discoveries by ordinary collectors, uncovering true treasures. While stories of the Barry Halpers and Jim Copelands are interesting, they don't represent possibilities open to most of the vintage baseball collecting public. However, fantastic finds have been made by nearly everyone collecting, sourced from attics, antique shops, flea markets, yards sales, basements and the occasional player estate. It's what's important to you that matters -- and VintageBall is interested in publishing your stories. We welcome your submissions via the form or email address included below. "HOW SOTHEBY'S SOLD PART OF THE HALPER COLLECTION FOR A SONG...WITHOUT ANYONE KNOWING"
"ONE YEAR IN THE MAKING: BASEBALL HISTORY AT THE BOTTOM OF THE PILE"
It was a hot summer in the early 1980s and my family and I were taking a trip through New England. The key to the vacation was stopping at all sorts of roadside antique and collectible shops. While driving through New Hampshire on our way to Maine, we stopped at one such establishment on the side of the highway. This particular shop was not unlike dozens of others that lined the older highways that meandered up through New England -- it contained the usual assortment of lamps, paintings, glassware and a long shallow showcase filled with jewelry -- not much for a baseball collector. One quick walk through a dusty aisle or two and all these "treasures" revealed themselves. And that's when he sweetened the offer: "I have a box full of these pins and other jewelry made with the same photos including bracelets. Would you want to see those, too?" Before I could answer, he proclaimed that he was just too tired to walk up the stairs. If I were interested, I would have to return another day. "If you like this pin, perhaps you would be interested in the others I have upstairs. I have a whole bunch of others"
Easy answer to that query. Following my fast response, he began shuffling -- and I mean shuffling -- back toward the flight of stairs that led up to his home...and a trove of more (potentially other uncataloged) PM1s. Unfortunately, we were only passing through and I never did get a chance to see just what was upstairs that might have unraveled the mystery of who manufactured these highly scarce pins...of which only 19 others are known to have been issued. Were Wagner and Plank also in this series? If so, like Magee, they remain uncataloged today. Did this jewelry-maker really market baseball charm bracelets, lockets and pendants, too? 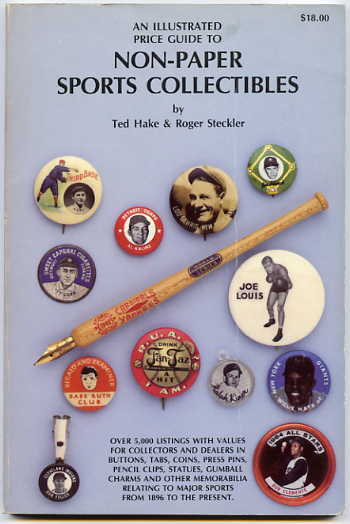 I eventually learned a little more about the PM1 pins in the 1986 Ted Hake and Roger Steckler co-authored Non-Paper Sports Collectibles Price Guide (Hake's Americana & Collectibles Press, York, PA). I started collecting pre-1900 team cabinets about a year ago. 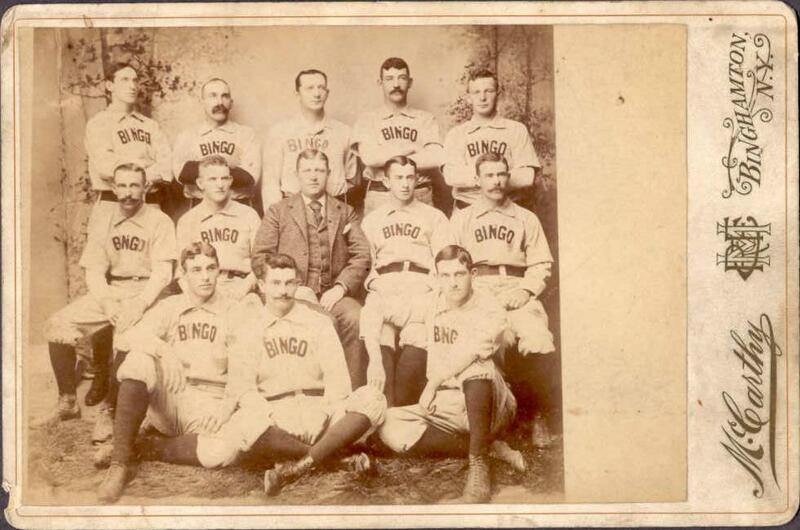 A particularly nice one came up on eBay of a team I had never heard of -- the "Bingos". I asked the seller if he would sell it with a Buy It Now (BIN), and he agreed. When I received it in the mail I immediately recognized a very young Willie Keeler. I still remember sitting at my desk with the photo in my hand as I started shaking, thinking this was impossible - Keeler as a minor leaguer? Sure enough, a little bit of web-surfing verified that Keeler played for the Binghamton Bingos in the 1890's, and the cabinet photo had a Binghamton stamp on the mount! "Top Hat" logo. A closer look revealed the ticket stub was from Game Seven of the 1957 World Series, one of those rare years that the Yankees lost. The Bombers were bombed five to nothing by The Milwaukee Braves to lose the championship. When I inquired about price, the dealer informed me she was only selling the ticket as a lot with everything that lay beneath it in a small glassine envelope. Looking at the envelope, I had no interest in acquiring it, since all that was visible was the number 12 on the exterior and a small black-and-white Charles Lindbergh trading card inside...and I wasn't a non-sports collector. The New York Islanders usually played there, but on this weekend in the mid-1980s the ice was up and an antique show had invaded Nassau Coliseum in Long Island. The show was particularly large -- sporting over 200 dealers with everything from fine furniture to toys and even those awful "collectors" plates with full color, garish paintings of The Beatles, Princess Diana and/or Elvis. An elderly woman in her late 70s or early 80s had set up in the corner against one of the side walls and seemed to be selling off everything she and her entire extended family had gathered over the course of a lifetime spent at garage sales, flea markets and yard sales. It was all there...books, paintings, big plastic toys and pamphlets of every type imaginable, heaped in piles atop shoebox covers. However, when she told me that I could have the whole lot for under $15, I decided to open the envelope to see what cards lay beneath this strange card with the aviator and his plane. I'm glad I decided to stick around to see what was in this wax paper-like envelope. Inside were two Near-Mint condition baseball cards of Babe Ruth and Ty Cobb -- from a series I had never seen before. The photos looked to be from the late 1920s, with Cobb seemingly in a Philadelphia Athletics uniform, the team with which he ended his career in 1927-8 after he and Tris Speaker were cleared by Judge Landis of fixing ballgames and betting on them. For its part, the Ruth card depicted a clasic Ruthian follow-through with a great ballpark backdrop. I promptly plunked down the money and set about selling the Charles Lindbergh card elsewhere on the antique show floor. It would be almost two decades before I found out just how special the two baseball cards were. promotion of a New York-Boston chain of stores (boys' clothing?) in the form of a frequent customer program. Boys visiting the store with a parent could receive a set of four cards to be placed in a 14-page 4-1/2" x 7-1/4" album. Individual cards are about 1-7/8" x 2-1/2" and feature black-and-white photos with a white border. 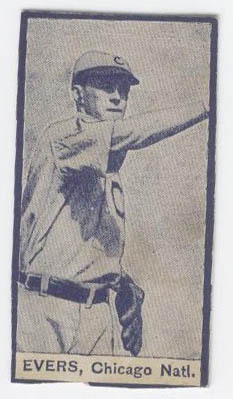 The athlete's name and card number are printed on the bottom border. Numbers correspond to spaces in the album. Only the "Baseball Stars" from the issue are checklisted [in the guide]. Others include hockey, football, track, swimming, golf, tennis aviation, etc." 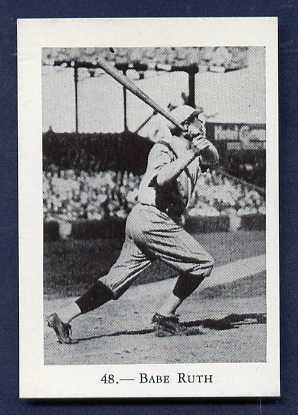 Interestingly, the Ruth card features a photo of Babe wearing a uniform style that was last worn by the Yankees not in the 1930s, but in 1921. 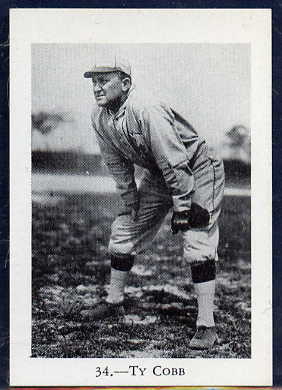 According to Mark Okkonen's Baseball Uniforms of the 20th Century (1993, First Paperback Edition), the Yanks wore multicolored socks from 1919 to 1921, just like the ones adorning Ruth on this Rogers Peet card. Coupled with the fact that Walter Johnson (another baseball player in the set) retired in 1927 (as well as with Cobb's aforementioned 1928 retirement), and one wonders why this set was assigned to the 1930s and not the 1920s. However, no matter whether the cards were issued in the late 1920s or early 1930s, these two gems -- and their glassine envelope -- are truly a favorite find...making the 1957 Yankees World Series ticket stub a keeper as well, even if they did lose! I've been hunting rare vintage baseball issues for many years. Good finds always seem to come around, but with patience a true diamond in the rough can be found every few years. 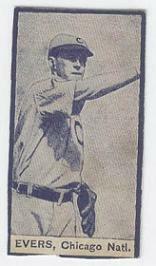 Recently, while browsing through a website, I stumbled across a card for sale with the title "W-uncat 1910 Johnny Evers." As a scan of the card was not posted, I inquired about getting one for further identification. Now, my first thought upon seeing the description, was that this card would probably be from the published1910 W-Uncat set (SCD). This issue is a rare one, but about 20-30 players are already known to exist, and I wouldn't say that this issue is "unobtainable". 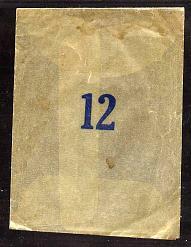 The 1910 W-Uncat issue was produced on a thin rice paper, and many times are reported to have an orange border. Minutes later, I received a scan that contradicted my initial thought that this card would be from the W-Uncat set. Looking at the scan, I knew that I had something completely different. My next inclination was to look at the 1910 E-Uncat Candy set, to see if the picture and measurements matched up. The only picture of one of these cards that I've ever seen is in the SCD. At first I didn't think that the card came from this set, as the picture shown in the SCD included a larger border, featuring somewhat of a diamond around the card. However, looking at the measurements, I did note that the white box at the bottom of the card, the blue border around the card, and the size of the picture itself all matched the description in the 2003 SCD. With that, I purchased the card for a very reasonable price. I received the card a few days ago, and immediately scanned it and sent it to three vintage card experts. I have received two responses already, and both agree that the card is indeed from the extremely scarce 1910 E-Uncat Candy set (only five players are checklisted so far). As a rare vintage card collector, I've always had a list of issues that I wanted to obtain. Among them are some exceptionally rare issues, some of which I've never even seen, let alone seen for sale or auction. Only a day before buying the E-Uncat Candy card, I had told a good friend who also collects vintage cards that I figured the Tarzan Bread issue might be the last issue on my checklist that I obtained. However, I also added that the E-Uncat Candy could be the last, as I had never even seen one before. I find it pretty ironic that I found and purchased the issue one day later!